JUST IN: Duterte Miting de Avance Crowd Now Over a Million! Two days before the May 9 presidential elections, the candidates are all busy publicizing their intentions and platforms. Four of the candidates are holding their miting de avance in certain places around Metro Manila. Aside from the viewers online, the supporters who went to the venue is now over a million, according to our reliable source. 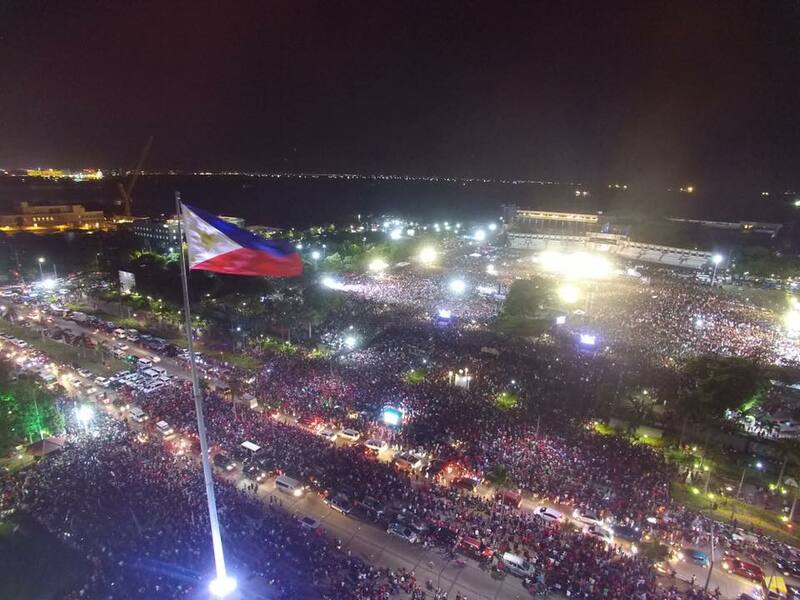 An official aerial shot is now being viral online showing an ocean of people, majority wearing red, and calling themselves supporters without a bribe. 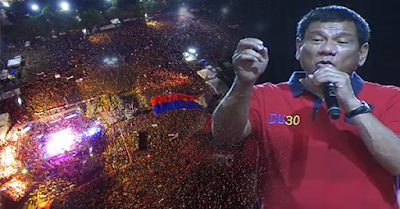 Is change really coming to the Philippines? What do you think? The area bordered by Roxas Blvd., Katigbak Road, Independence Road, and South Road AND including Roxas Blvd. itself is approximately 87,000 sq.m. (350m X 2350m). This calculation of the area includes the structures, the fenced out areas, trees, everything, as if the whole area was bare and filled with people (which sections of which were sparse). A sq.m. can hold at most, 5 people. 87,000 X 5 = 437,500 people. 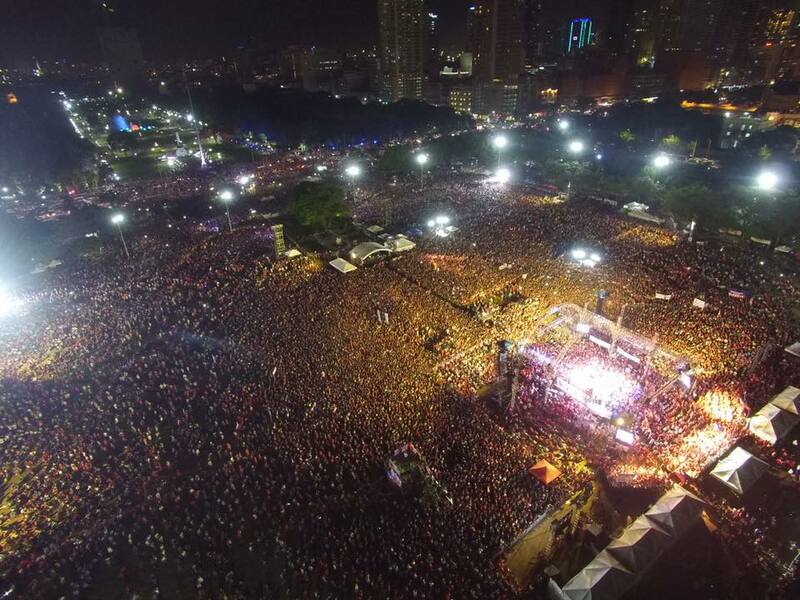 Even if you included the whole Rizal Monument area you can add only 50,000 more for a total of 487,000 people. But if you consider the fenced off areas, the buildings and trees, factor in areas with sparse number of people, it the estimate should be closer to 250,000. Still an impressive number.